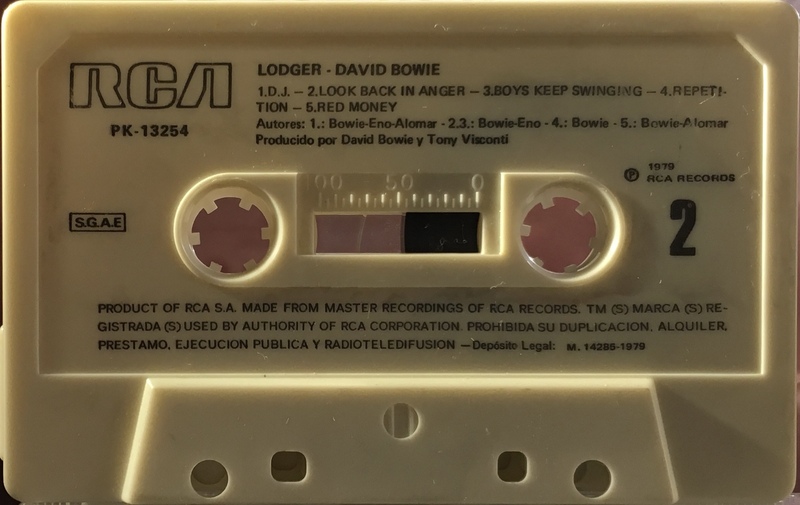 Lodger: Spain; RCA, PK 12522; 1977. Cream tab top, spine and rear, white inner panel. 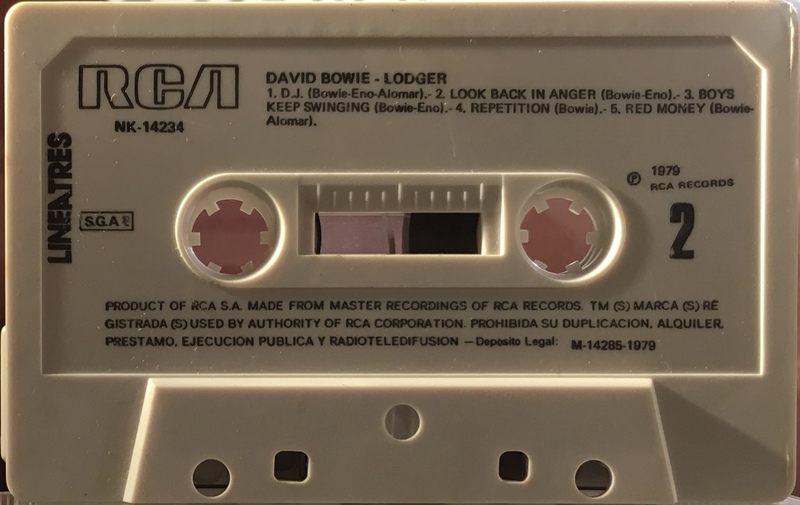 Price code ‘G’ on the upper right of the tab top and RCA Victor on the left. 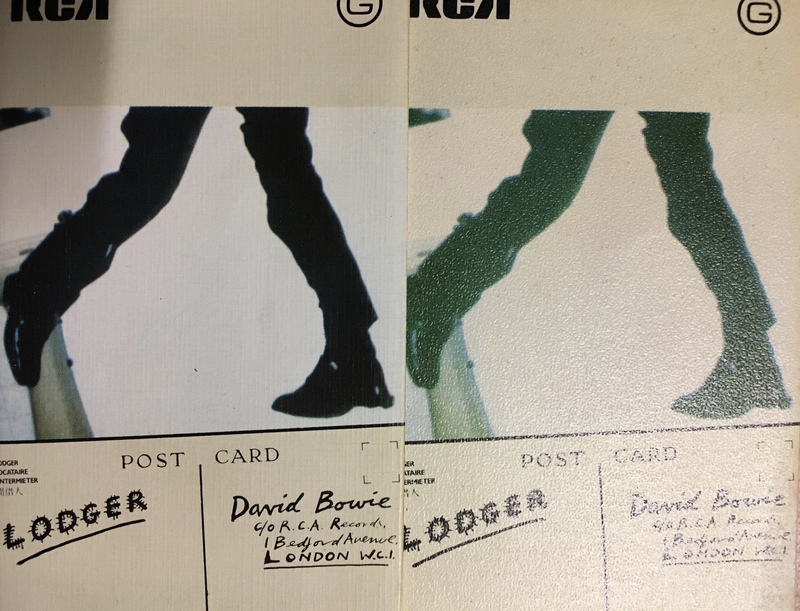 There are two types of paper used on the cover: the first one is printed on folded papyrus-like paper with a waxy texture; the second is on folded, stippled paper with a wry texture, a comparison is shown below. The stippled cover has a distinctive green tinge to it. 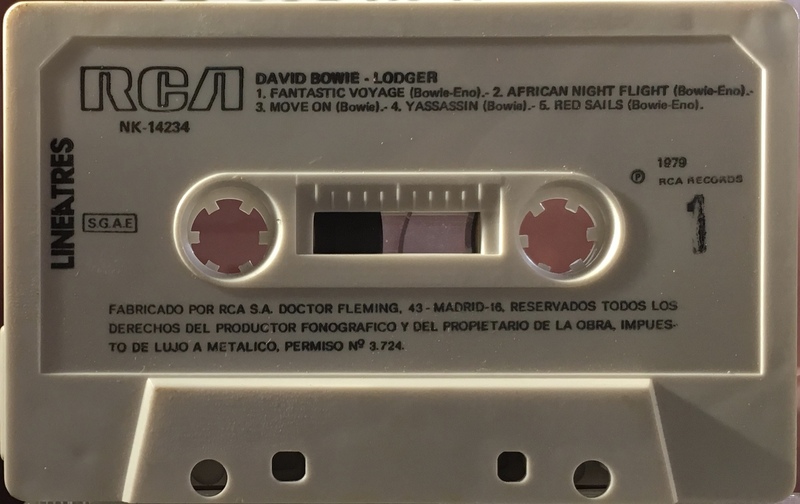 Track list on rear and inner panels.The cover states Cara A & B for the sides but the cassette shows 1 & 2. 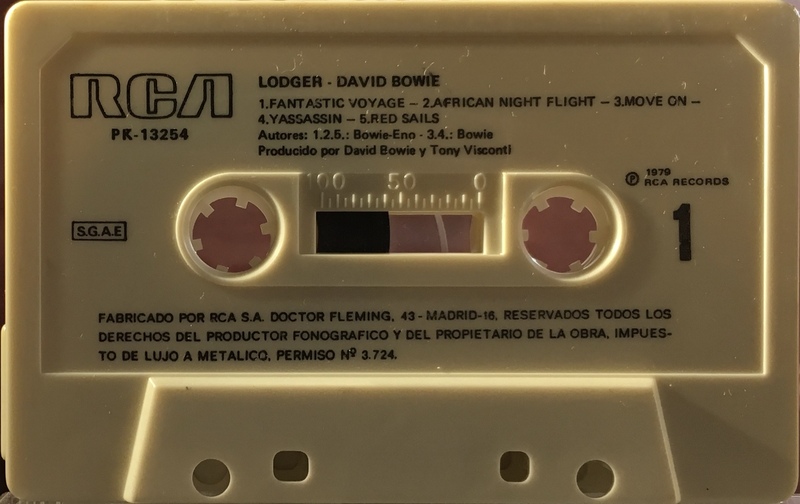 Side 1: Fantastic Voyage; African Night Flight; Move On; Yassassin; Red Sails. Side 2: D.J. ; Look Back In Anger; Boys Keep Swinging; Repetition; Red Money. 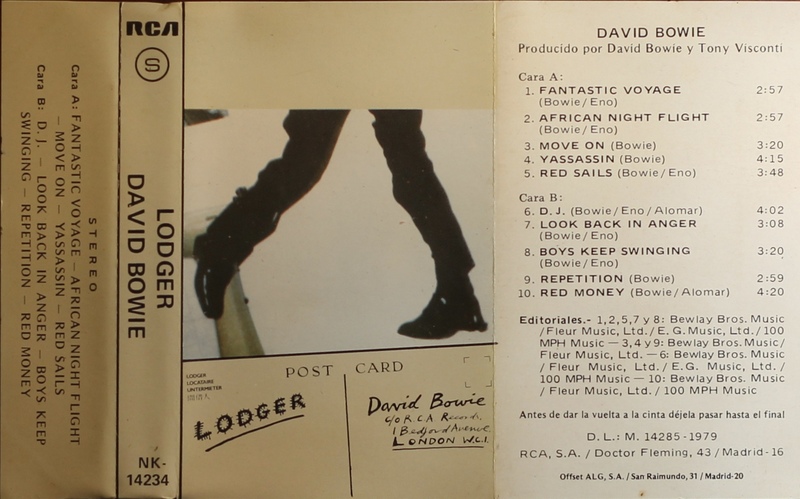 Lodger: Spain; RCA Lineatres; NK 14234; no date. Cream tab top, spine and rear, white inner panel. Price code ‘S’ on the upper spine. 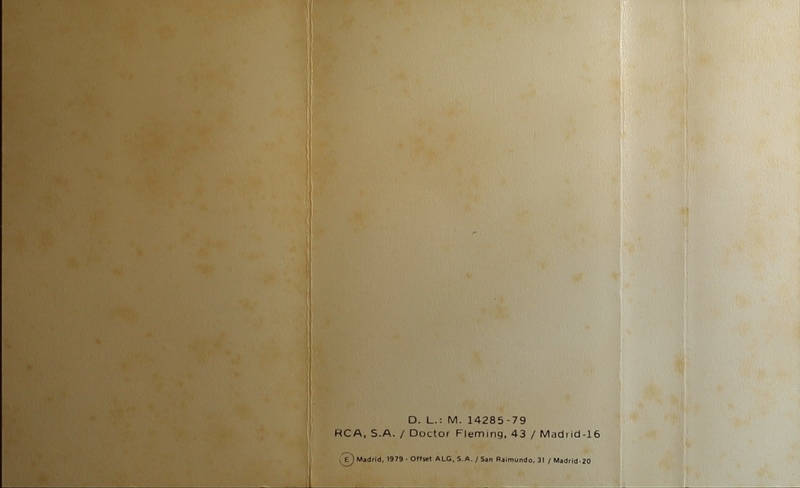 Printed on treated, folded thick paper with perforations at the rear panel only. 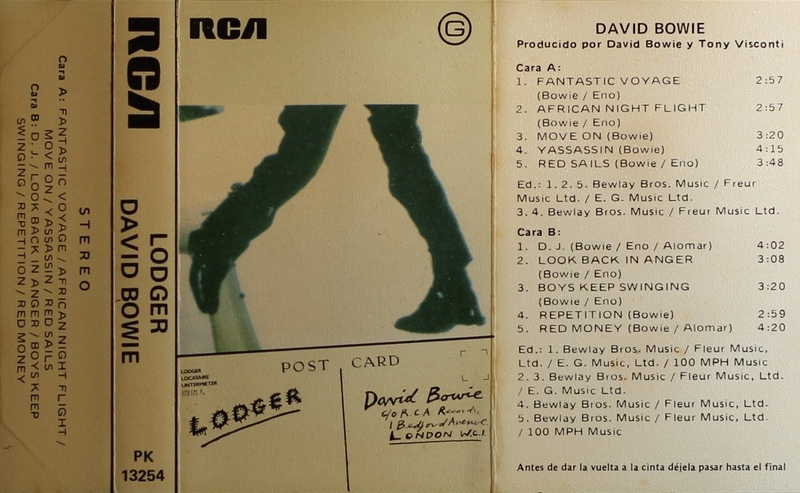 Track list on rear and inner panels.The cover states Cara A & B for the sides but the cassette shows 1 & 2.